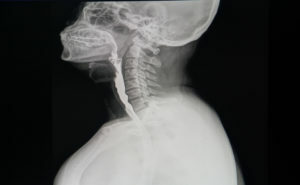 Dysphagia means that you have difficulty swallowing. Dysphagia is usually a problem with your throat or esophagus moving food and liquids from the back of your mouth to your stomach. Though it can occur for many reasons, it is a common sign of GERD (gastroesophageal reflux disease).